Between the large generation of Baby Boomers and advancements in modern medicine, more people are living longer lives than ever before. In fact, people with disabilities are outliving their parents for the first time in history. For people with autism, cerebral palsy, Down syndrome and other intellectual and developmental disabilities (I/DD), this increased longevity means addressing unique concerns about their own aging process. For families and caregivers of people with I/DD, it’s critical to put plans in place to ensure their loved one’s quality of life into the future, in addition to managing their own age-related needs. No matter what each person is facing, addressing these issues begins with open and honest dialogue. 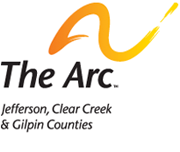 The Arc has the tools and expertise to help our community age well.